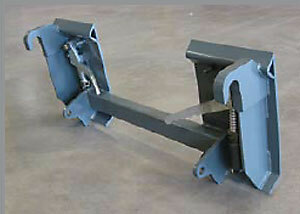 Do you want to convert your loader to the "Universal" Skid Steer quick attach system or the EuroGlobal standard? 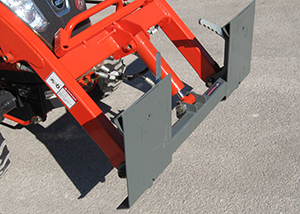 Worksaver has developed adapters for single cylinder loaders (Kioti, Kubota, LS, TYM and Mahindra) allowing them to use attachments with the “universal” skid steer interface, opening the door to a wide range of attachments. The adapters are built with 7-gauge material, to provide strength, yet keep their weight under 70 lbs. to allow the loader to have maximum lifting capacity, to get more done. 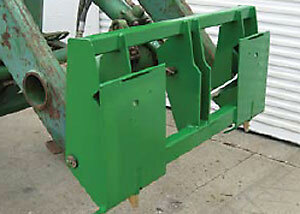 Easily convert your bucket or other attachments to be used with one of our adpaters. 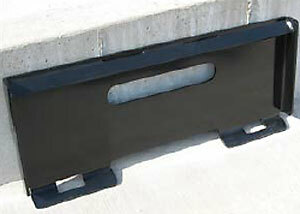 These weld-on items are engineered to fit, allowing you to get more done. Available for “universal” skid steer, Euro/Global & John Deere 300/400/500 series. 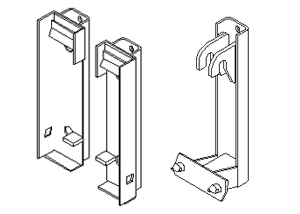 Optional "bolt-on" loader brackets for Worksaver implements to interface with OEM quick attach brackets.